appn’wire is your RSS news resource for iPhone, iPod touch, iPad, and Mac apps, app reviews, new and top applications, app updates, app price drops, software, and technology. Next story Contacts Journal CRM 1.2 – Track your customer and client relationships. Previous story SpeedTest 6.7.2 – Internet speed test without Flash. PodGrasp 2.1.0 – Podcast Player. NetNewsWire 4.0.2 – RSS and Atom news reader. 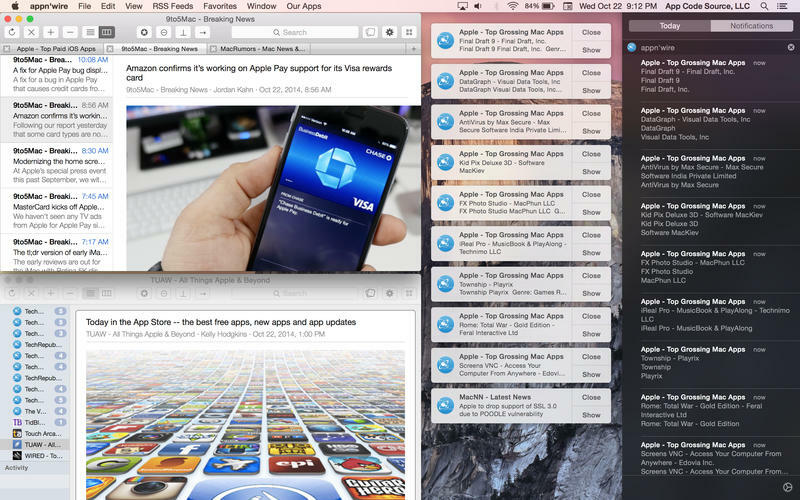 Newsflow 1.4.7 – News from all of your favorite websites on your desktop.